Give your bedroom a feminine look with this beautiful bed frame and mattress package. The Deluxe semi orthopaedic mattress has a 13.5 gauge Bonnell spring unit and rod edge supports. 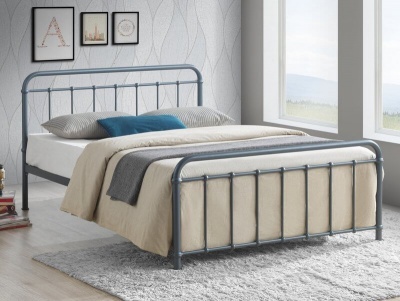 The sprung slatted base of the Katrina metal bed frame provides extra comfort and mattress life. 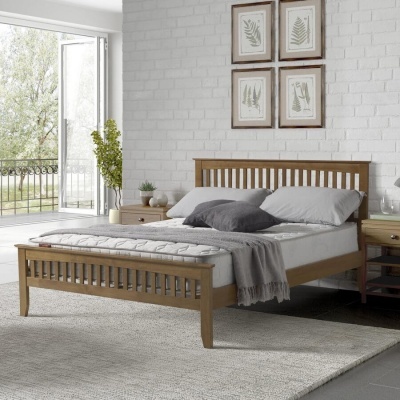 The dimensions of the Katrina 4ft6 bed frame are: H110.5 W144 L205 cm. The dimensions of the Deluxe mattress are: H23 L190 W137 cm. The mattress has 900 gsm spring insulator pad. 600 gsm polyester filling and a quilted Belgium damask cover.